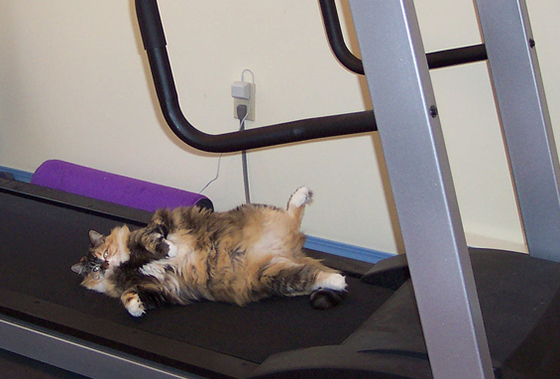 If you feel that your blogging efforts are taking you nowhere, stop what you’re doing. Now make sure you’re not making one of these common mistakes. Image by Christina T via Flickr. Your blog is a great way to deliver value to your prospects and establish yourself as an authority in your niche. But if you’re not blogging strategically – with your business goals in mind – then chances are you’re preventing hoards of interested prospects from converting. A successful content marketing plan shouldn’t only bring you visitors. If done right, it should also bring you thousands of new prospects and customers. Our blog is – by a huge margin – our biggest source of new customers. We’ve done some stuff right, and a lot of stuff wrong (especially in the beginning). And we’ve learned a massive amount from both our wins and our fails. Here are the four biggest, most costly mistakes we made early on. I hope that by sharing them, you can avoid the same fails and start reaping the benefits of a successful blogging strategy. But as a marketer, you still need to grow your business. And if you’re not leveraging your blog for growth, then it’s not an asset to your business. If you’re not leveraging your blog for growth, then it’s not an asset to your business. Now, that doesn’t mean you have to write posts to pitch your readers. But there are many things you can do to optimize your blog for prospects who are ready to convert. One of them is directing blog readers to a dedicated landing page. How do I know this is effective? Because as soon as we started to directly offer our service to blog subscribers by directing them to a landing page, we started getting significantly more conversions. 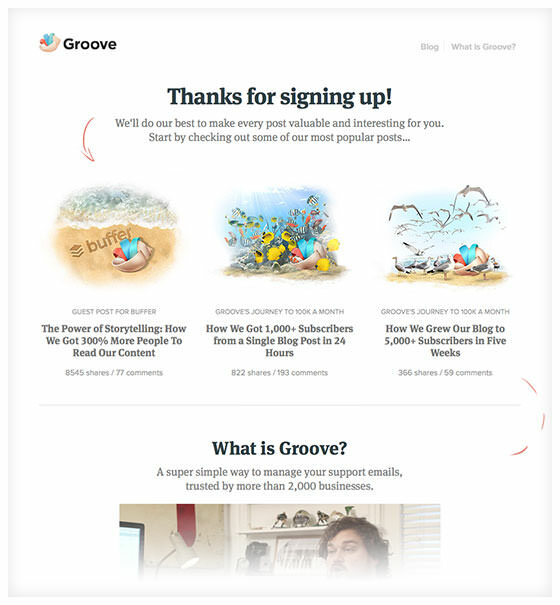 Now, readers are sent to a targeted landing page, customized for each guest post. 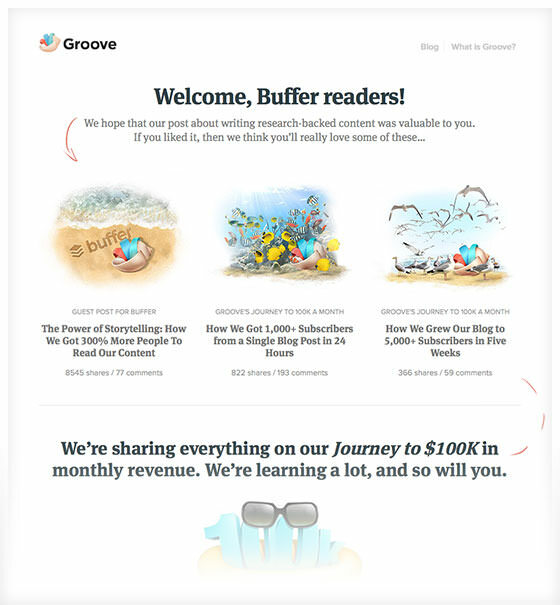 For example, a recent guest post on the Buffer blog linked to a custom offer page for Buffer readers. Make it highly targeted (for example, we welcome Buffer readers specifically in the headline) and thank the reader for enjoying the blog. Share similar content to what they just read to get them more engaged with the blog. Explain what your service is (and the problem it solves). Offer a special blog-readers-only-offer (we offered an extended trial that isn’t available on our main site). Running a successful blog is a big undertaking; it takes a lot of keeping your head down to write, edit and format. 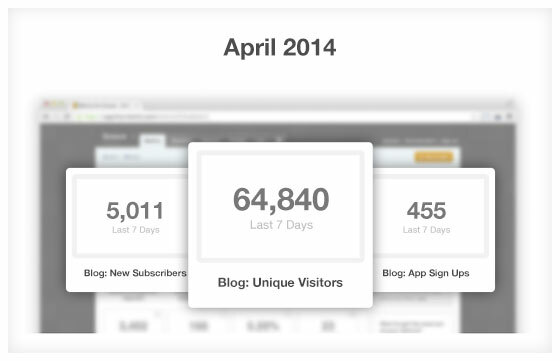 When we first started blogging, 95% of the time we spent on the blog was on writing. The other 5% was spent on some scattered tweets and emails to try and get the content in front of others. Writing post after post, it was so frustrating not to see much traffic or many shares. After launching our new blog, we did a ton of research on content marketing and studied how other companies leveraged blogs for traffic and conversions. Successful content marketers spend as much time promoting their content as they do writing it. Research and compile a list of the influencers that your target audience likely follows. Build relationships with those influencers; become active in their blog comment sections (not with link spam, but with genuine, high-value discussion). Send influencers to-be-released drafts of your blog posts for feedback. Like us, you may find that the notes you get are invaluable in helping you make improvements to your content. When you’re ready to publish your posts, ask those influencers to help spread the word. Chances are, the people who helped improve them will be more than happy to share them with the world. Our outreach ended up leading to the $100K blog getting more than 1,000 subscribers within 24 hours, and more than 5,000 after the first week; a big change from our previous flops. How much time do you spend writing vs. promoting your posts? Is it a 50/50 split? If you’re spending most of your time writing blog posts, stop. Now start promoting. If you’re not making it ridiculously easy for people to subscribe to your email list, you’re cheating yourself of loyal, long-term readers. 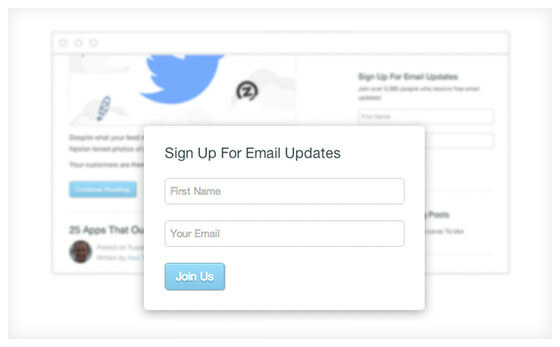 You may already have email subscriber opt-in forms in place, but they may not be as easy to find as you think. 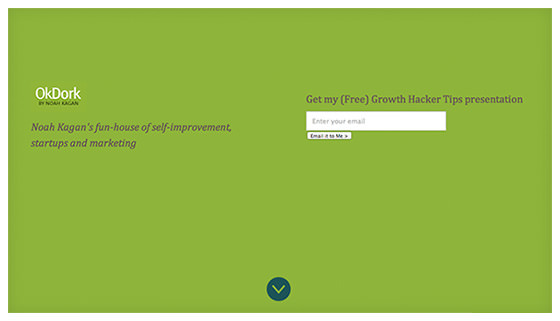 Test different CTAs in different locations – simple changes can lead to dramatic conversion lifts. Are you making it easy for blog visitors to subscribe? Test different forms in different locations. 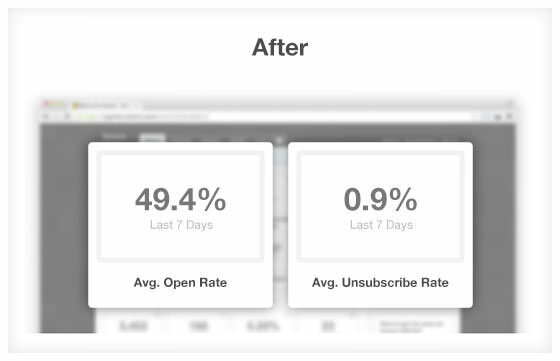 A year ago, when posting once every two-to-three weeks, our open rates were low (averaging around 15%) and our unsubscribe rate was higher (around 3%) than it should’ve been. Blog regularly and your readers will be more engaged. Being erratic breeds annoyance. Unfortunately, there’s no single best answer here. Derek Halpern says a few times a month is fine. Neil Patel, on the other hand, writes eight blog posts a week (I’m exhausted just typing that). The only way to know what works for your unique audience is to – you guessed it – test for yourself. But whichever rhythm you find works best for you, make sure your readers get used to hearing from you regularly and consistently. They’ll learn to expect your emails and posts and you’ll get the benefit of having a loyal, engaged audience. Just like anything else in marketing, blogging is a learned skill. Even successful bloggers make mistakes. You’re going to screw up, and not every post is going to be a hit. The important thing is learn, move on, and do better next time. Do a gut check right now – are you making any of these common blogging mistakes? Correct them now and avoid a painful part of the learning process.